This video covers modeling the handles with curves. The entire model could have been done using curves but I went with just the handles for now. This video covers how to start the model. This video explains Using Images for reference. In this quick tutorial I will describe how we are using group instances, pilule in a way to decrease our poly count. At this point the table has 125k poly’s which is too many for our purpose (which is just one half or the table). When this table was created, see only one half of it was modeled and the mirror modifier was applied to it to project the other half. Since we applied the mirror modifier we have doubled the poly count and it’s all calculated when we render. What we need is a solution to decrease poly count a bit more, but not to use mirror modifier (since that solution only gave us a double count). Instead of that we are going to use what is called group instances. As you can see our table is essentially the same on all sides. Now since we have 1/2 of the table, we are going to delete half of that, which leaves us with 1/4 of the table. We now have around 35k poly’s which is a good poly count for our purpose. Now that it is a group, we can add instances of it to create other sides of the table. The table outline color is green (when we created the group) which indicates it is the original mesh and it is red for the instance. 3. Since the instance is now placed on top of our original model, we must change their duplication direction. We can do that (with the instance selected) by going to the Object tab > Transform. In the field for Scale, enter -1 for X value . Now the instance is placed on the opposite side. then go back into a the Object tab > Transform and enter -1 for Y scale value. Now we have 3/4 of the table created. 5. Finally, we will repete this process for the last part of the table. Create a duplicate (Shift + D) from the last (third) instance and go back into a Object tab > Transform and enter 1 for X scale value. The good thing about using group instances instead of using mirror or array… is that group instances don’t count in memory while rendering. With mirror or array this is not the case. We now we have a table with 35k instead of previously 125k poly’s. This video explains Material shaders and the nodes. You don’t have to Build Blender to use it! You can get a copy of a supported, sales fully working copy at Blender.org. Or grab the latest Builds from GraphicAll.org. This Tutorial is for those that want to try and Build their own Blender.exe application form source files. Download and install the following three applications to your PC ( I am using Windows Vista). Follow the linked image and install TortoiseVNC on your PC. I am running Windows Vista SP2 at the time of this article. We will use this program to collect all the needed files from Blender’s Repository so we can Build Blender. You can get it here. Next you must obtain a copy of CMake in order for us to “make” a file from the files we collect so Visual C++ can Build Blender. You can get this here. This is the last program we will need. It is Microsoft Visual C++ 2008 Express Edition. You can get it here. Step one: Getting the files. Now that we have the SVN tools needed (TortioseSVN) we can now connect to the Blender foundation Repository. 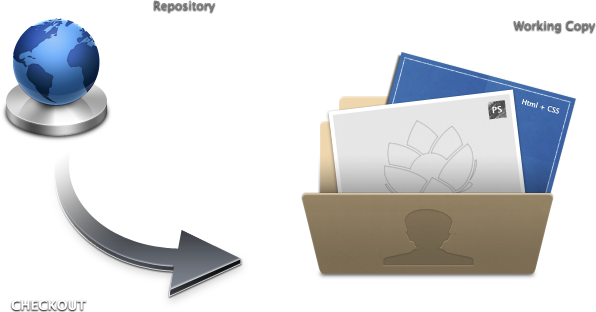 …The first is URL of the Repository. Just copy and Paste this directory https://svn.blender.org/svnroot/bf-blender/trunk/blender This is where all the coders do a commit (save all their work to). A window like this should pop up and download all the files that make up Blender. These are the files you will need to update each time you want to Build a new revised Blender.exe These revisions are made by the coders as they make commits. SVN will update only the changed files when you do future Checkouts of the code, this one should be kind of large. Now back to our 32 bit build…. Open the CMake application from where ever you installed it and you should get this nice window. Then click the configure button in the Lower left to open a pop up window to tell CMake that we will be using Visual Studio 9 2008 (if that is what you are using too). The results is a checklist of sorts. Here you can include or remove options that will be in your new Blender.exe. Note: I didn’t make any changes to these but to include just be sure the little tick box has a check and to remove make sure there is no check mark in the tick box. If you make any changes you will need to click on the Configure button again. If you get errors you may want to try this with all the options off. Now Click on the Generate button! Double click that file and MSVS will open. 1. Be sure to change Debug to Release. 2. Then look for INSTALL and Right click that and select build! Finally: time to enjoy Blender! your brand new Blender.exe! Enjoy! The Blender coders commit all the time so you may want to up date your Build. To do this just right click on your Blender repository copy (remember C:/Blender/Blender ?) and select SVN Update. Check out you LIBs too just to be safe. Problems with this tutorial: Leave a comment. Problems with to much money? Send some to us! Special thanks to Mike Pan for his help with this and the guys in IRC #Blendercoders for their help! As you saw in my previous post on the forums I have finished a table model based on Luis reference. The task to complete this model was challenging because (for this and every other model that will come in future) I have to think mostly on poly count. The first part of the table that I focused on was a complicated ones (the ones that should have more faces) and that is the main support of the table and center support of the table. Then, I created only half of the model and instead of using mirror modifier I used what is called a group instances. And that was the technique I used for the rest of the table. The upper part of the table was made by using a smooth faces function (as well as every other part of the table that has hard edges). So the thing is that before starting on something I add a smooth to whole upper part, and after that play around with loop-cuts and slide function, by adding as much loops as I need, mostly on the ends of the model. So now the complete table has around 36k ploy, which is quite good, compared to the 500k I had previously. for people with recent Firefox or Chrome, watch the table in 3D! so the fact is we are a cyber studio and we will someday all meet, but as it is now we have to share files remotely or this will be a huge mess. While Daniel is working on setting up the animatic and Milan is making Models we need to share these files and not step on each other toes by breaking what the other guy does. What we are using is an SVN server to store the files and each person can go in make changes, add files and get new copies to work on. Each of us is on a different Operating system also. Daniel is on Linux, Milan is on Mac OSX and I am on Windows and Mac OSX. In order for us to share these files we need a server! It is rather an easy concept really, one guy makes a file and others in the group can make changes to it. Each of us can see what files have changed and by whom and when the changes were made. Cost to run this is nearly nothing due to the fact that we are just using my existing Host (did I mention Dreamhost?) and we are using opensource solutions to access the repository. Sharing has never felt so good. This video is to help you understand the basics of what is happening when you use Cycles as your render engine.